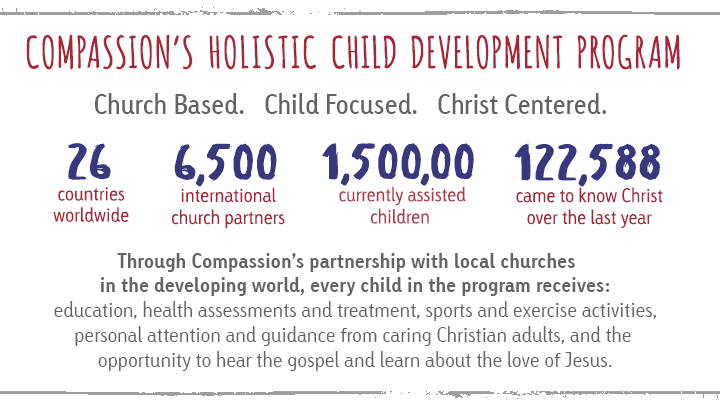 Compassion International, the world’s leading authority in holistic child development through sponsorship, is pleased to be in partnership with MOPS. For more than 12 years now, we have been working hand-in-hand to teach kids and families about God’s heart for the poor — and how we can make a difference together for children and families in need. Recently, MOPS and Compassion leadership, including MOPS CEO Sherry Surrat, traveled to El Salvador to visit the village where Sherry sponsors two little girls. She was able to meet them and explore their community, getting an insider’s view of how families in extreme poverty live. The video highlighting this trip will be shown at MOMCon in September. You won’t want to miss it! Sponsorship through Compassion gives each child the opportunity to develop and grow physically, mentally and spiritually. The moms of these children, who are just like you and me, hope the same things for their children as we do for ours! Child sponsorship helps bridge the gap, making it possible for these children to be released from poverty in Jesus’ name. In honor of our longstanding partnership with MOPS, we have put together some FREE resources especially to help you and your fellow MOPS moms open your children’s eyes to how children around the world live, play and learn. These fun tools, including recipes, coloring pages, and our Compassion Explorer magazine, are a great way to help your children discover God’s love for kids everywhere. 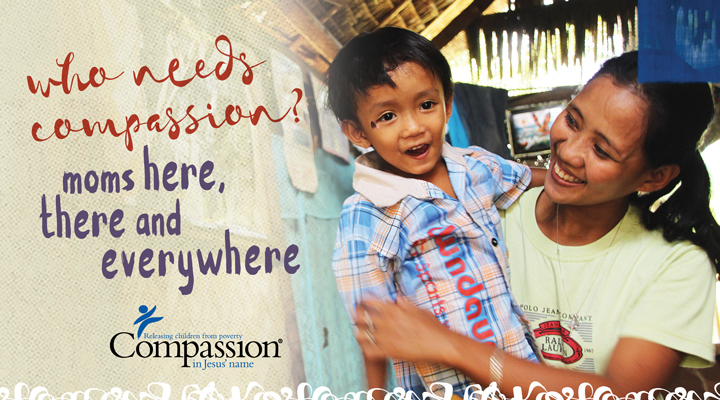 Visit us online for FREE resources for moms at Compassion.com/MOPS — and see the world!